The London employment tribunal rejected Uber's appeal against an October 2016 ruling in a case that is being closely watched for the wider implications for Britain's booming "gig economy". 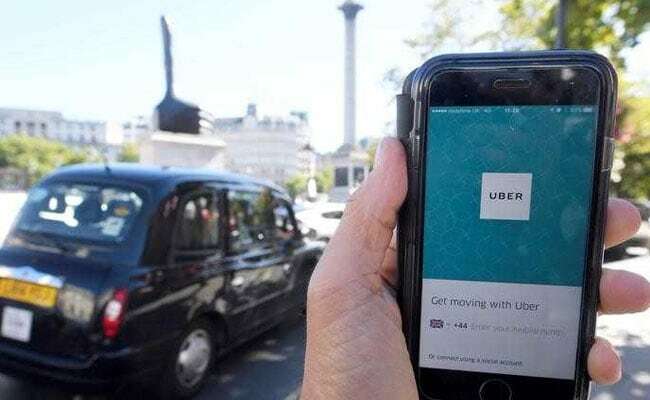 London: US ride-hailing company Uber on Friday lost its appeal against a landmark court ruling in Britain that would give drivers the right to paid holidays and the national minimum wage. The London employment tribunal upheld an October 2016 judgment in a case that is being closely watched for the wider implications for Britain's booming "gig economy". "Today what the judge has done is just confirm that Uber is not just exploiting us but denying us our rights," said one of the claimants, former driver Yaseen Aslam. His lawyer Paul Jennings said he was "delighted", adding: "Our clients have fought tirelessly to gain the rights that they clearly should have been afforded from the outset." He added: "The ruling will have significant implications for approximately 40,000 Uber drivers and, more broadly, individuals engaged across the so-called gig economy." Uber said it would once again appeal the ruling, with the case now likely to go to the Court of Appeal or the Supreme Court, the highest court in the country. "The main reason why drivers use Uber is because they value the freedom to choose if, when and where they drive and so we intend to appeal," said Tom Elvidge, Uber UK's acting general manager. Drivers are paid for each ride and Uber insists they are self-employed. However, the ruling last year said they should have official worker status, which brings with it certain benefits. "Over the last year we have made a number of changes to our app to give drivers even more control. We've also invested in things like access to illness and injury cover," Elvidge added. The claimants are supported by the Independent Workers of Great Britain (IWGB) trade union, which has brought other successful cases on behalf of other drivers and couriers. "The law around employment rights in the so-called gig economy is clear. These people are workers, and court case after court case has shown this," general secretary Jason Moyer-Lee told AFP. He added: "These companies are making an absolute mockery of the system of protections and employment rights that we have. The government needs to enforce the law and it needs to do it now." Frances O'Grady, head of the umbrella body the Trades Union Congress (TUC), said in a statement: "This ruling should put gig economy employers on notice." Both Aslam and his co-claimant, former driver James Farrar, said they had stopped working for Uber because they could not afford it -- but would go back if their status changed. Farrar said drivers make about &#163;5 (5.6 euros, $6.6) an hour, but have to cover about &#163;400 a week in fixed costs. Uber disputes this, saying that last year British drivers made average fares of &#163;15 an hour. It cites polling showing nine out of ten drivers are satisfied with working for them. A small number of Uber drivers were outside the tribunal Friday in solidarity, recounting their stories of logging in to the app only to go hours without work. Mohammad Onupom Rahman said: "They are allowing us to sign onto Uber and that moment onwards we are the slave of Uber." The company has seen its global popularity explode since it launched in 2009 in San Francisco, and has about 40,000 drivers and 3.5 million customers in London. However it has faced opposition from traditional taxis in many countries, and has also been plagued by controversies. The company is currently fighting a decision by London authorities not to renew its licence owing to public safety concerns.